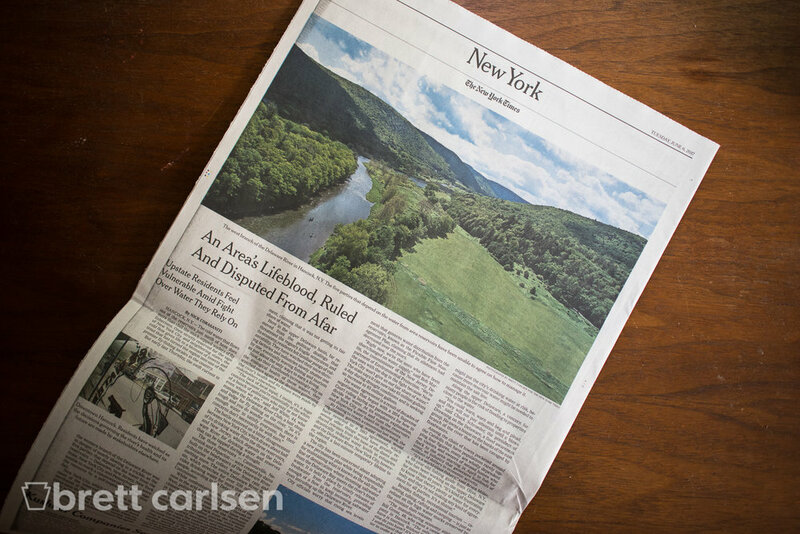 I was privileged enough to recently pick up an assignment for The New York Times covering a dispute between neighboring states regarding the flow of the Delaware River. I spent two days photographing the areas surrounding Hancock, New York which is located in the Catskills region of New York state just a few hours northwest of New York City. 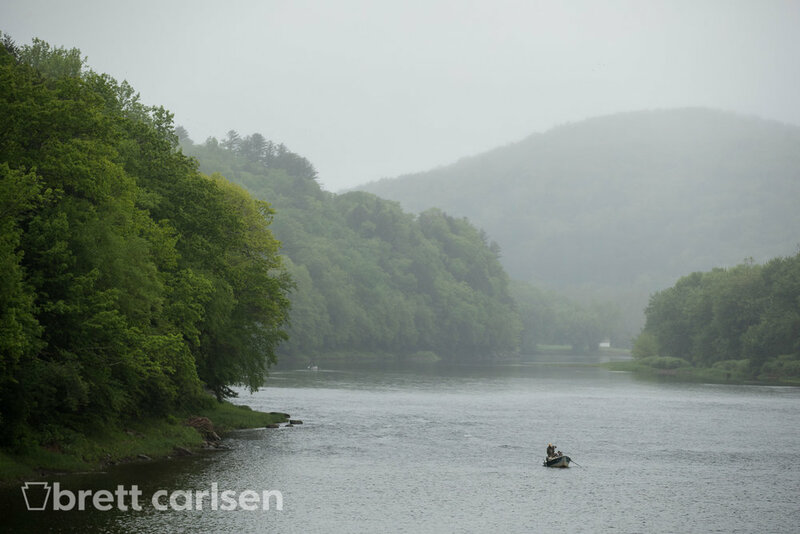 The Delaware River merges in the town of Hancock and is one of the best fly fishing locations according to locals. In addition to using my Canon 1DX Mark II cameras I was also able to make the primary photo using my DJI Phantom 4 Pro drone which held up beautifully on the 6 column layout they decided to go with.